One of the great takeaways from a work trip is the time the team gets to spend together. The long hours at the conference and the early coffee runs to Tim Hortons, these are all small moments that bring us closer. But the week in Vancouver was not all about work. Some nights we had time to get dinner, and on the last day we went out on a field trip. 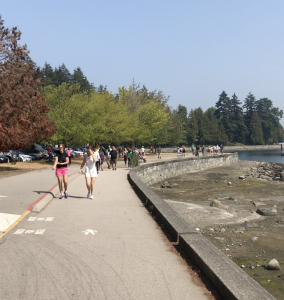 In this post, we are sharing with you what the Future Reality Team loved about Vancouver. If you ever get the chance to go… take it from us! This is a beautiful nature escape in a buzzing city. With over 405-hectares surrounded by water, this public park is not Central Park experience. Unlike city parks, Stanley was not made by an architect, but it was almost entirely left as it was in the 1800s. No matter what day of the week, the park will be filled with locals, street art, resting spots and lots of greenery (even in the winter). The locals’ advice? Rent a bike and ride around! 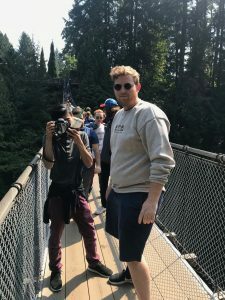 If you enjoy a mix of history and adventure, like the FRL team, then you must visit the Capilano Bridge. This bridge, which was first made out of hemp ropes with a deck of cedar planks, is 140m long and 70m high suspending over the Capilano River. The most stunning scenery! 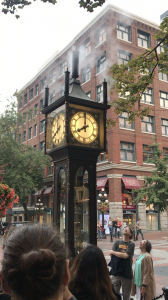 This is a lively neighborhood with Victorian buildings famous for it whistling Steam Clock. The streets are filled with a great variety of souvenir stores and galleries, but its true attraction is the delicious food and drink scene. 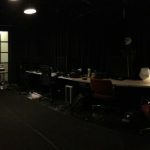 This is the place to hit at night! Vancouver is known for its strong Chinese presence, and Chinatown is not the place to miss. 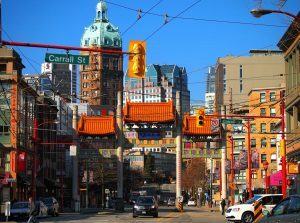 If you haven’t been to China, Vancouver’s Chinatown will give you a little taste with authentic culinary, old-school apothecaries and streets decorated with live seafood and exotic animals. 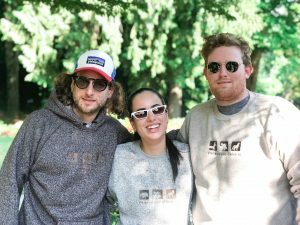 If you go to Vancouver, make sure to write back to us on the blog! We want to hear from you, and we want to know what you thought about our tips.